POD, Vanity Press, or Traditional Publishing: What’s the Difference? Home/Help for Writers/POD, Vanity Press, or Traditional Publishing: What’s the Difference? With the explosion of digital publishing technology, there are more ways than ever to get your manuscript off your computer and into the public. However, the printed codex is still the most popular way to read a book (and, besides, there’s just something special about physical books). If you have a manuscript you’d like to publish, you may have already realized that the publishing world is large, complicated, and all-around hard to navigate. If you haven’t yet, you will soon. But don’t worry—this article is here to help. As a would-be-published author, one of the first things you’ll need to decide is what type of publishing is best for your book. This article will give a brief overview of the main types of publishing: POD, traditional, and vanity/subsidy. Traditional publishing houses take a chance on a manuscript they think can sell. They are selective about which book is published because they pay for the costs of printing, publishing and marketing, as well as paying the author of the book. Traditional publishers approach manuscripts like investments—if they believe that a book has what it takes to sell, they will negotiate a deal with the author and hope to make a good return on the publishing costs. This acronym stands for ‘Print-on-Demand,’ and the author pays for the printing. This type of ‘publishing’ is actually more of a technology or a service than publishing, in the traditional sense. POD services will accept a certain amount of money for a certain amount of books printed to order. What you see is what you get with POD companies, because the printing is all these services do. A shrewd author can distribute her or his book privately, or do negotiating with local booksellers. PODs provide authors with the opportunity to have complete creative control over their book, as well as maintain singular ownership of all rights. However, all the legwork of selling, marketing, and distributing won’t be taken care of by anyone else. Furthermore, the author is taking a risk ‘on her/himself,’ in the same way that a traditional publishing house might take a risk on an author. In other words, you might not make much of a profit (if that’s what you’re looking to do). Vanity (or subsidy) presses are similar to POD options, in that the author pays for the publication of the manuscript, and books are printed on ‘on-demand’ terms. Unlike a POD (and similar to a traditional publishing house), a vanity press usually takes care of marketing, design, and distribution. If you think that sounds great, there’s a serious catch to vanity presses—namely, they almost always maintain sole rights to your book. In other words, a vanity press is a traditional publishing house, except that distribution is often not as good, the author pays for publication rather than the other way around, and the rights are taken from the author. 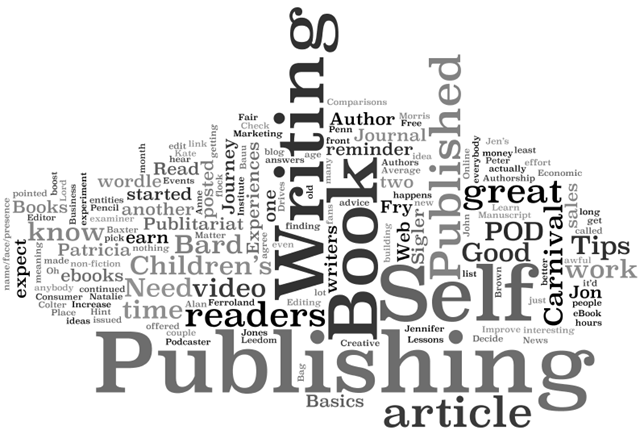 We are not a publishing house (or any of the options above), but we can help you get published. Not only can we help you ghostwrite or edit a manuscript, we can also provide invaluable publishing services designed to help you get your book published. Contact us today for a free consultation!